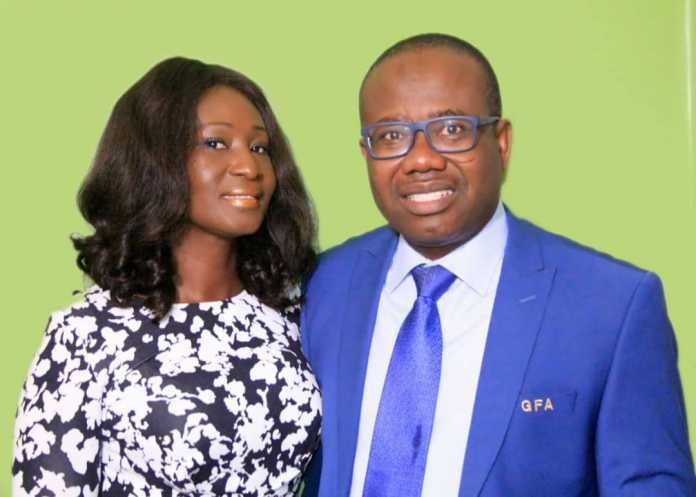 Christine-Marie, first wife of disgraced former Ghana Football Association president Kwesi Nyantakyi, is struggling to understand why people continue to insult and chastise her husband. The mother of two appeared on a late night TV show on Tuesday to express support her better half who has been handed a life ban from all football activities and a hefty fine by FIFA for breaking its code of ethics. Christine-Marie feels the former FIFA Council member has been treated unfairly because there are no criminal charges against him. ''My pain is that Ghanaians should exercise patience. Kwesi is not running away; he’s here. If the court or if the processes find Kwesi guilty, he’s available to face the consequences,'' she said on Metro TV's Good Evening Ghana programme. ''But until then, the name-calling, the insults, the jubilation and the celebrations that he’s down, I am begging and pleading that we should all hold our horses and wait. ''Time will tell; he’s ready to face any consequences.